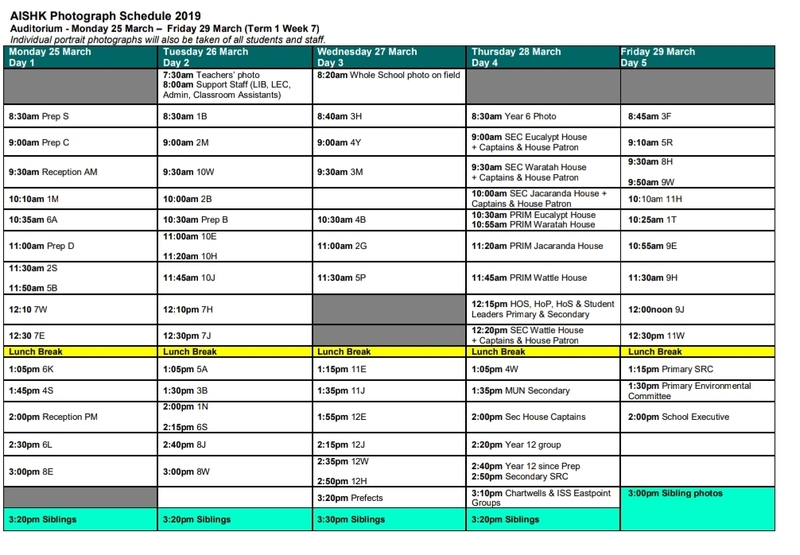 AISHK class, individual and group photographs are scheduled to take place from Monday 25 March through to Friday 29 March in the Auditorium. Please see the schedule below for your child’s class/group photos. Students are required to be dressed in our formal school uniform for these sessions, which includes wearing their blazer and tie and long pants for boys and black 60 denier stockings for girls. Students from Reception to Year 2 will have their photograph taken in their polo shirt. Please ensure you check our Parent Handbook via the link below for details regarding the proper uniform attire, taking note of the regulation in regard to hair grooming, wearing of jewellery and ensuring only black, dark green or yellow hair ties or hair clips are worn. Students should be well groomed with their shoes polished with hair tied back as appropriate. There will also be opportunities for families who wish to do so to have sibling photos taken. 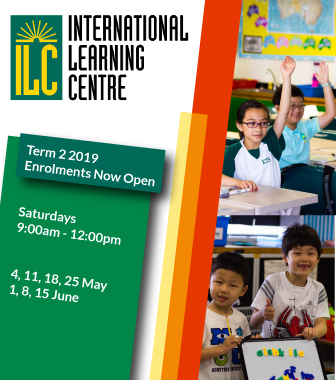 Appointments can be made via the Primary or Secondary Offices. If you are unable to make any of these times, Techni Photo, our photography service provider, do offer sessions at their studio and can be contacted directly to make arrangements.